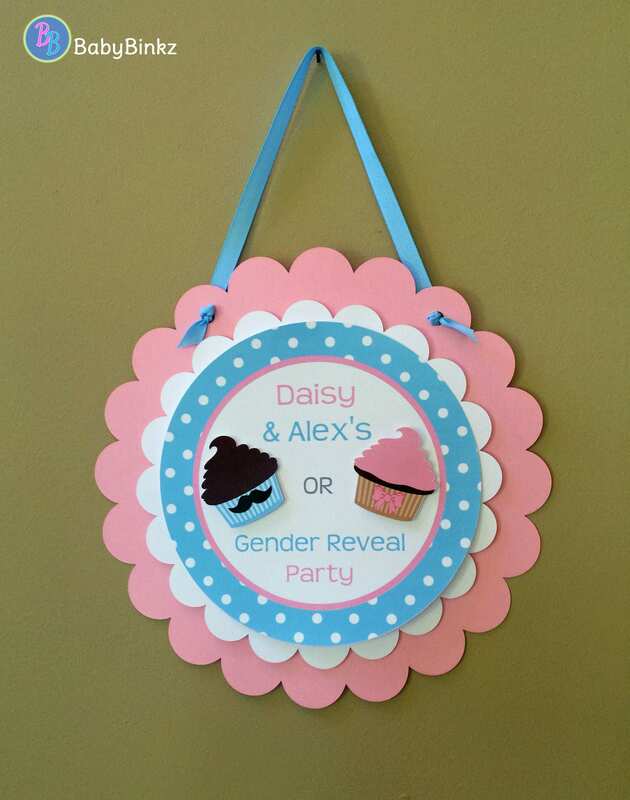 BabyBinkz Gender Reveal Stud Muffin or Cupcake Door Sign with a Die Cut Muffin & Cupcake is the perfect addition to any Gender Reveal party! Includes one Door Sign constructed from three layers of heavy weight card stock with a 3D mounted Mustache & Bow. It measures 10" inches in diameter and is pre-strung with coordinating ribbon.